Flies will feed from faeces, then food and then back again which can cause bacterial transfer. 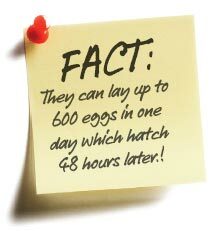 This is from the hairs on their feet and also from the way they vomit onto their food before eating it – yuk! CLUSTER FLIES are also quite common in our area and can become a problem in your loft if left unchecked as they can develop into vast colonies. 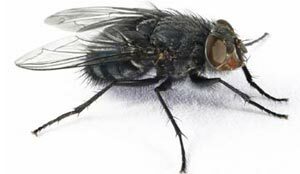 There are several different species of fly that can be a real nuisance - please call to discuss options.